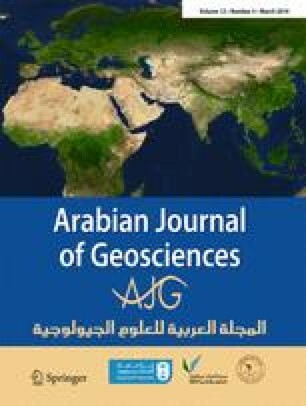 The calcareous nannofossil biostratigraphy and bio-events of the Coniacian–lower Campanian succession are examined from the Dokan section, northeastern Iraq, along the southern Tethyan margin. In the Dokan section, calcareous nannofossils are affected by dissolution and silicification. The vertical stratigraphic distribution of calcareous nannoplankton allows identifying eight nannofossil zones (CC13/UC9 to CC20/UC15b). These calcareous nannofossil zones are correlated with planktonic foraminiferal biozones. Calcareous nannofossils calibrated by planktonic foraminiferal biozones suggest that (1) the Turonian–Coniacian boundary can be approximately delineated within the Marthasterites furcatus (CC13) Zone and the base of the planktonic foraminiferal Dicarinella concavata Zone, (2) the Coniacian–Santonian boundary can be delineated at the base of the nannofossil Zone CC16 and close to the base of the D. asymetrica Zone, and (3) the Santonian–Campanian boundary can be located approximately in the uppermost part of the nannofossil Zone CC17 and near the uppermost part of the planktonic foraminifera D. asymetrica Zone. The authors thank the editor Prof. Zakaria Hamimi (Banha University), Prof. Mohamed Boukhary (Ain Shams University), Prof. Michael Wagreich (University of Vienna), and Prof. Omar Cherif (National Authority for Remote Sensing & Space Sciences (for their constructive comments.